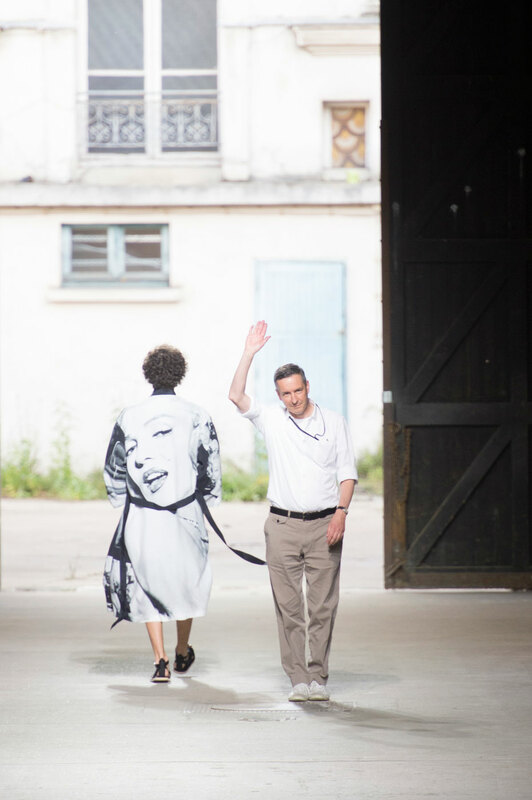 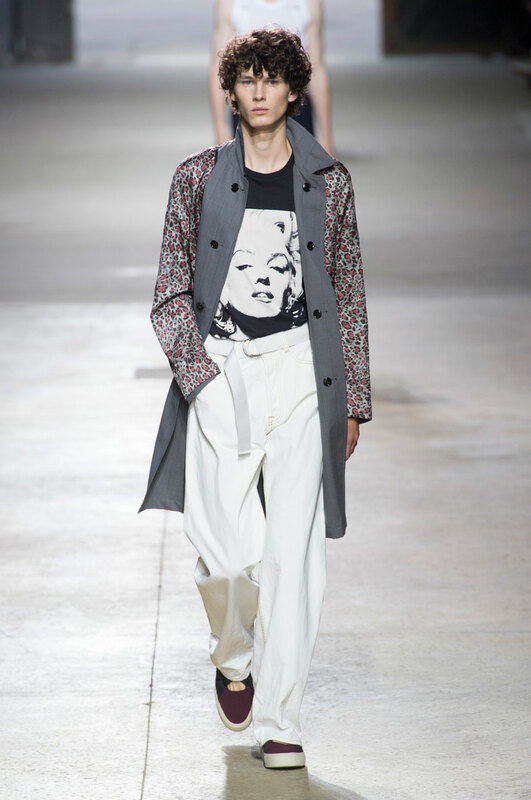 From the first look that appears down the catwalk the spirit of Marilyn Monroe is forever present in this collection; the iconic beauty is portrayed in black and white images on many of the pieces used in this show. 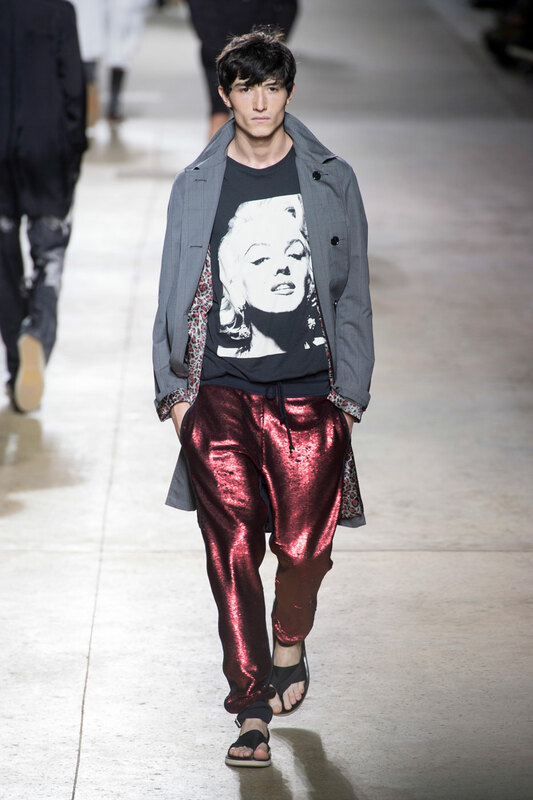 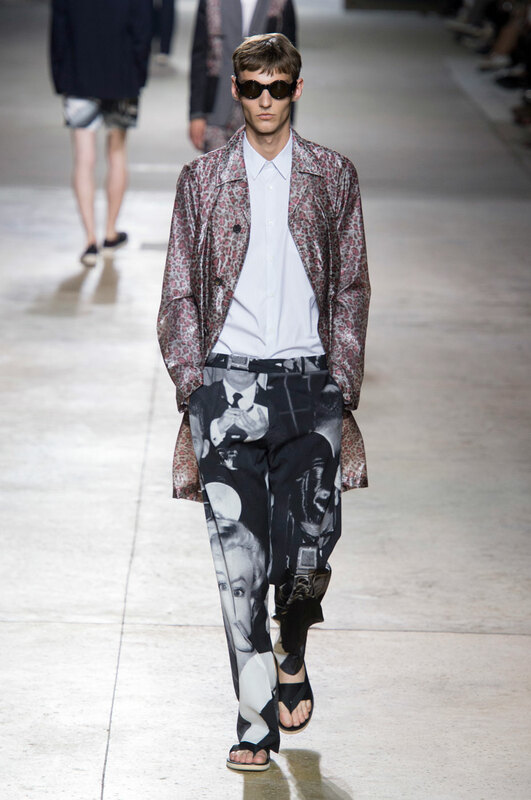 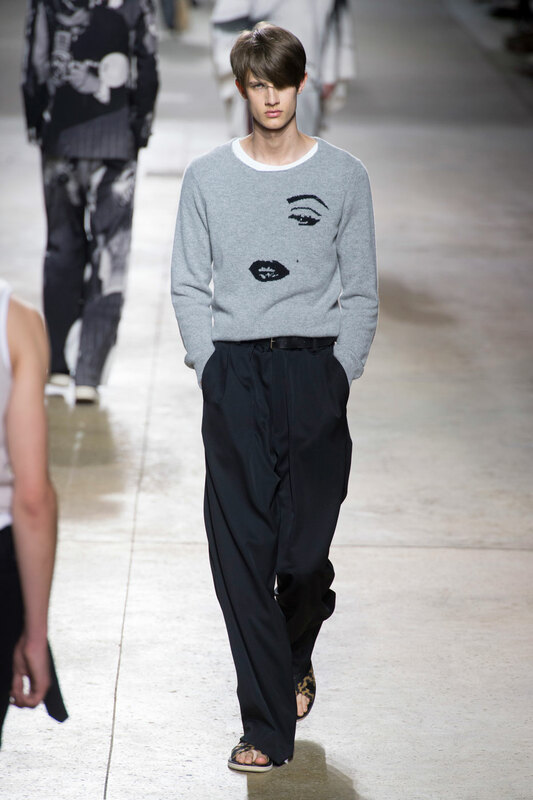 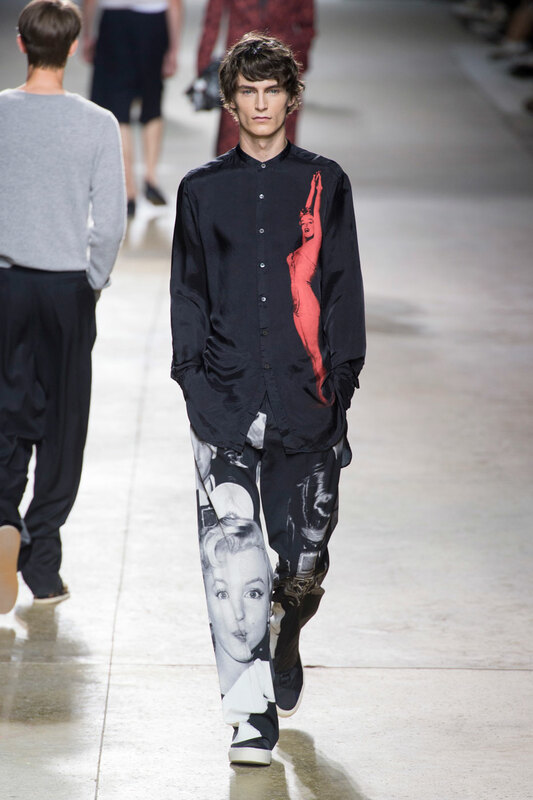 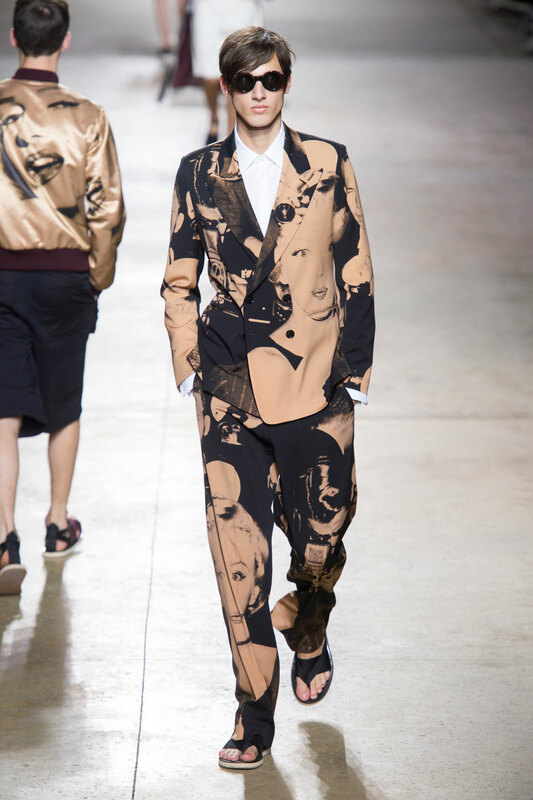 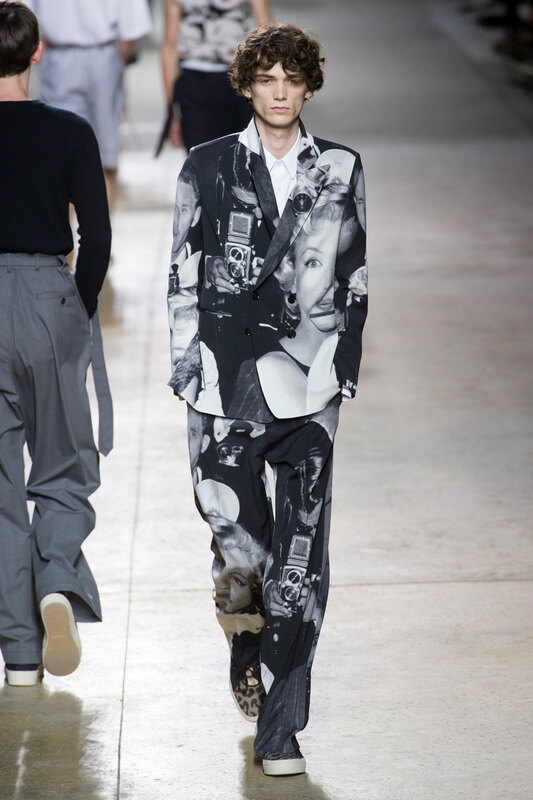 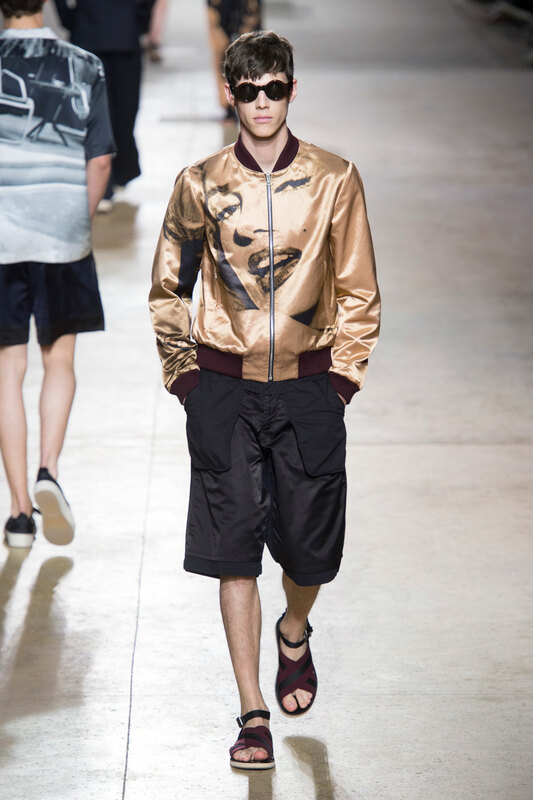 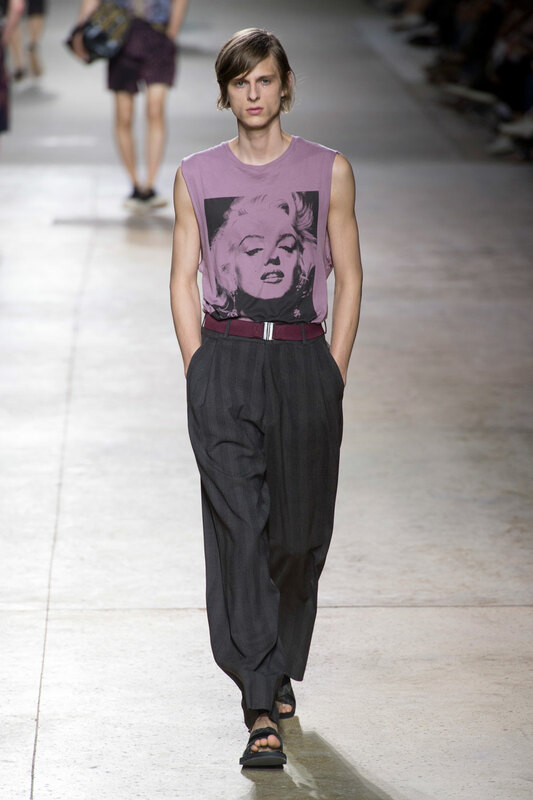 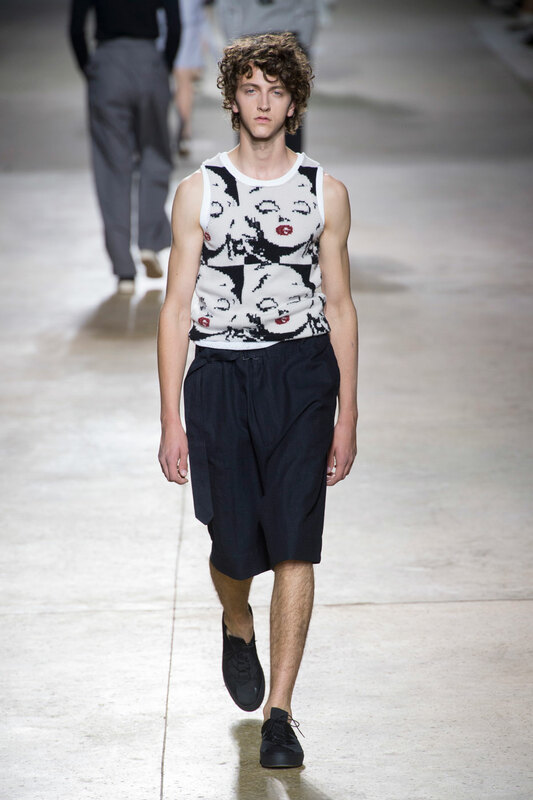 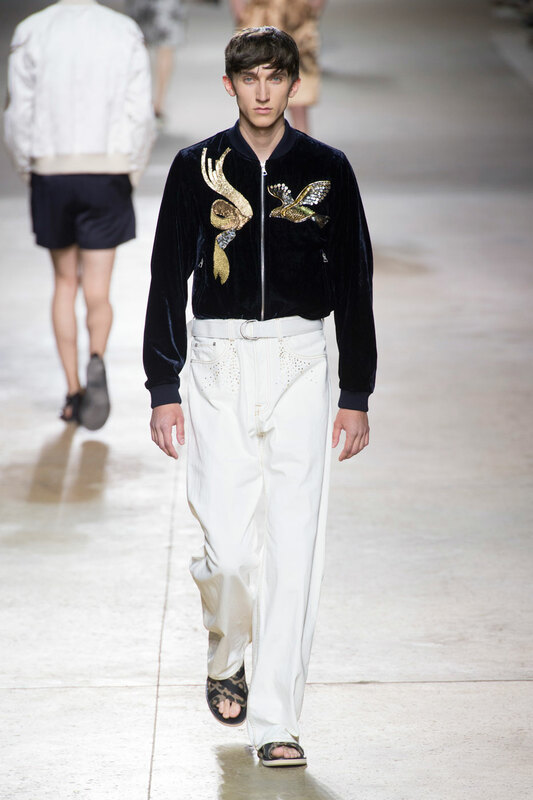 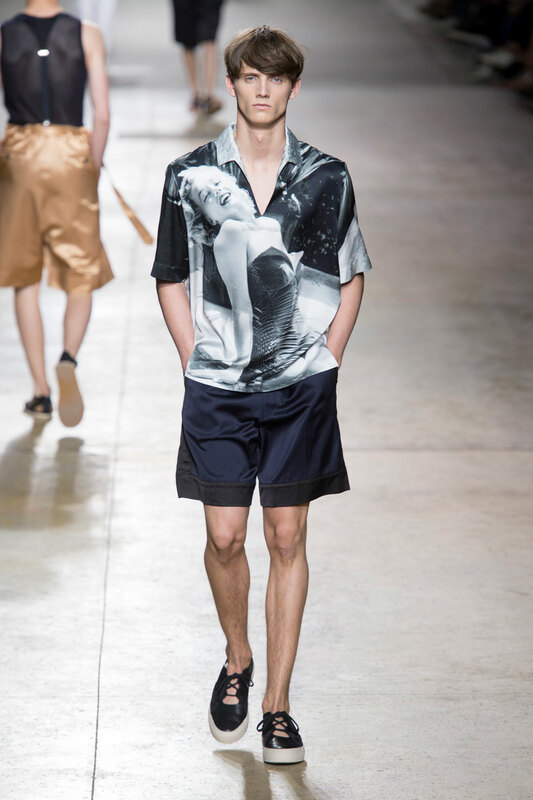 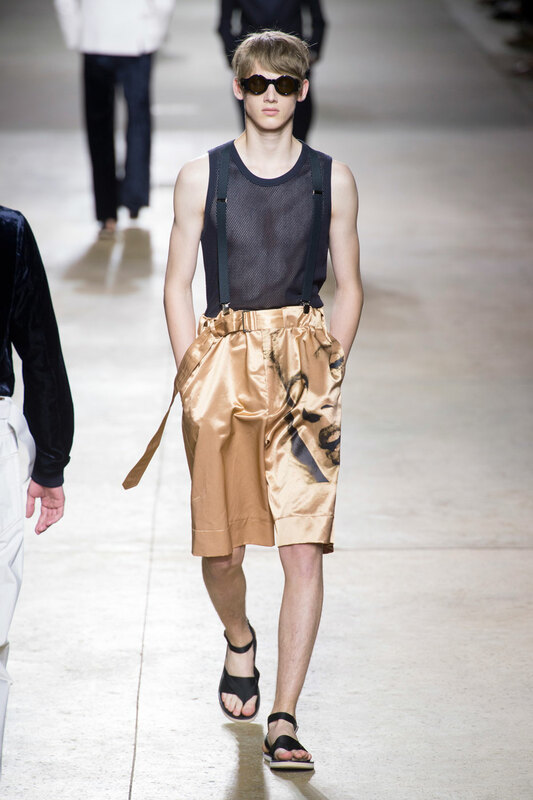 Van Noten pays tribute to Andy Warhol, as some of his pop art designs appear on the garments. 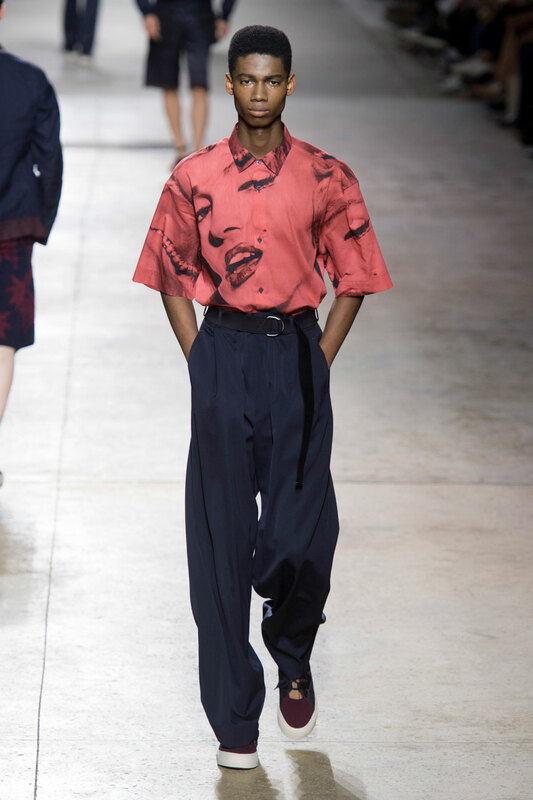 The collection steers clear of any colour except for the deep shades of red that are used as accents on many of the pieces, this pop of colour is more effective and striking when used against the black and white images of Monroe. 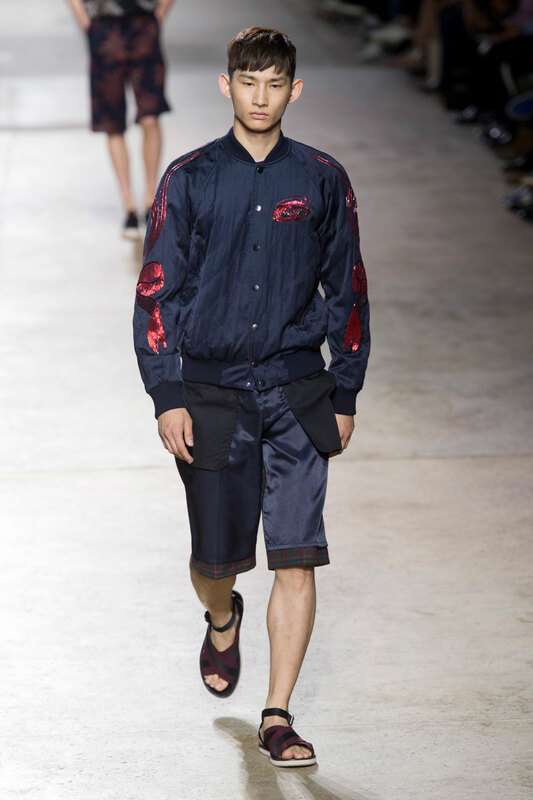 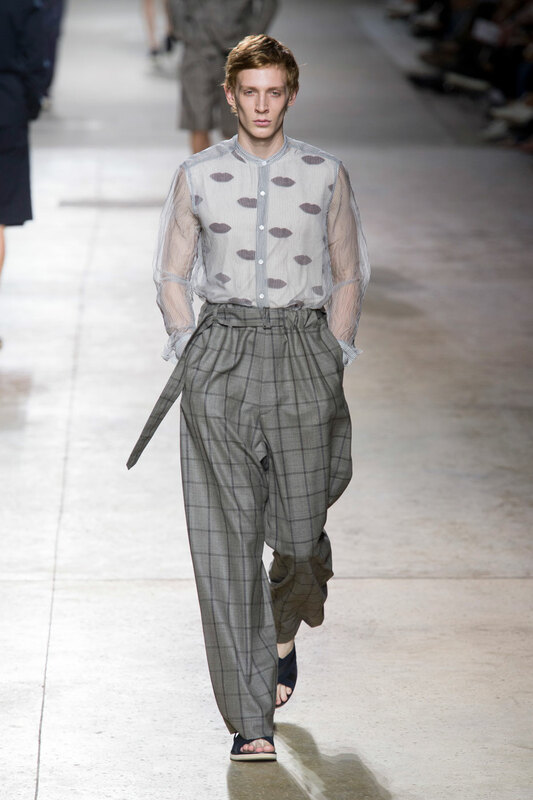 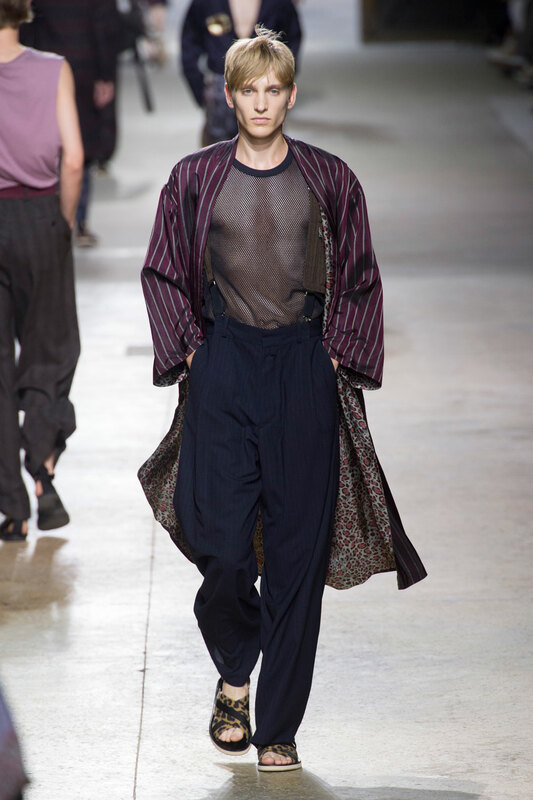 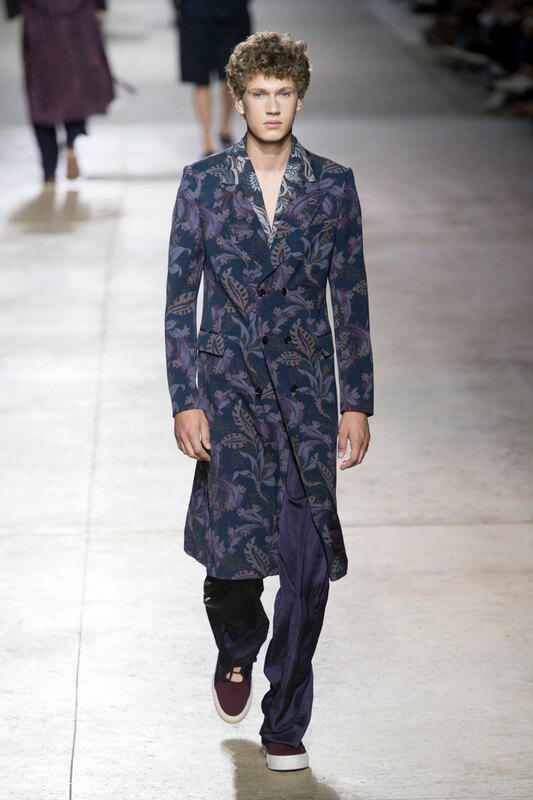 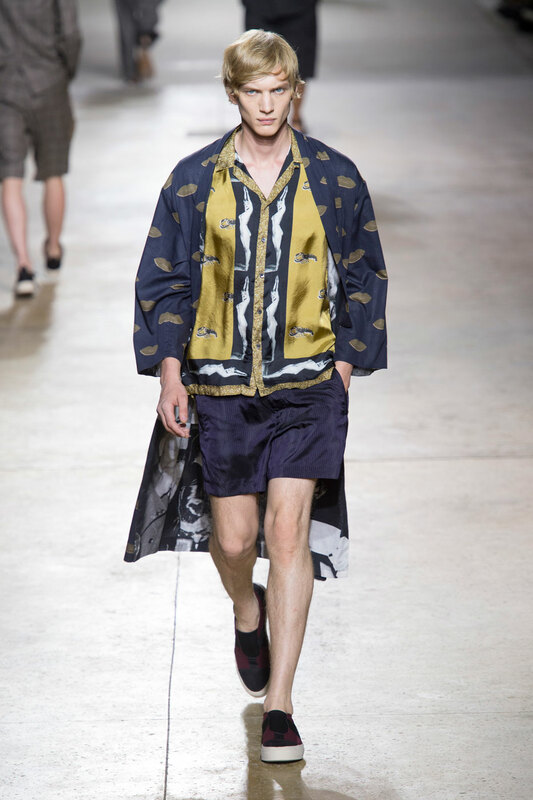 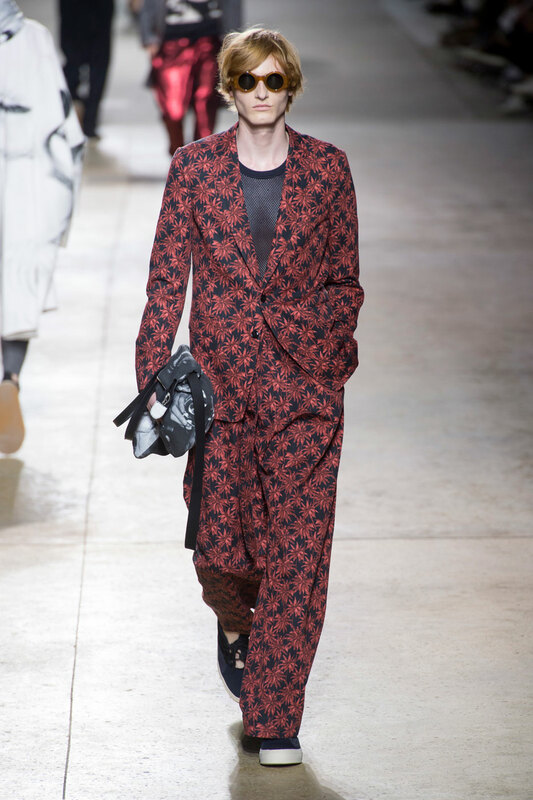 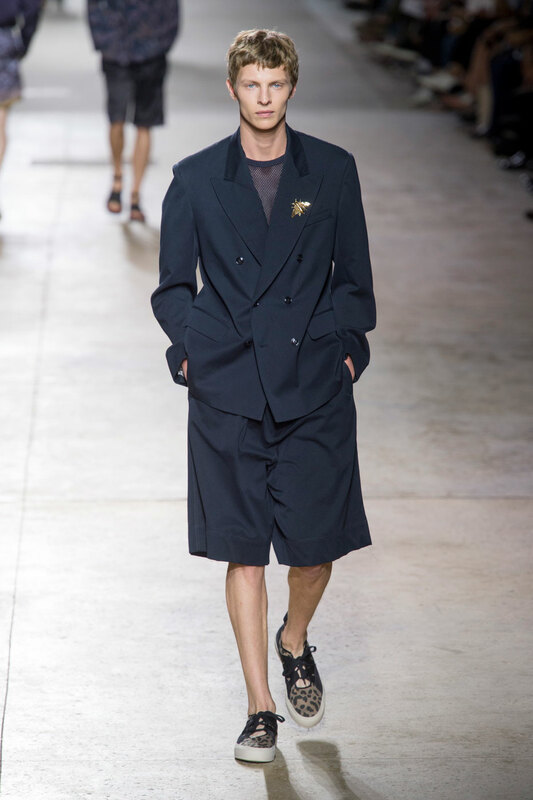 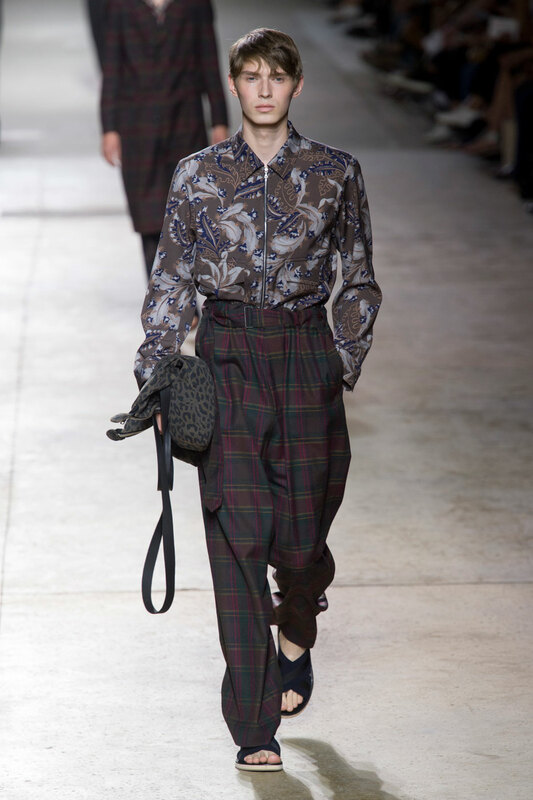 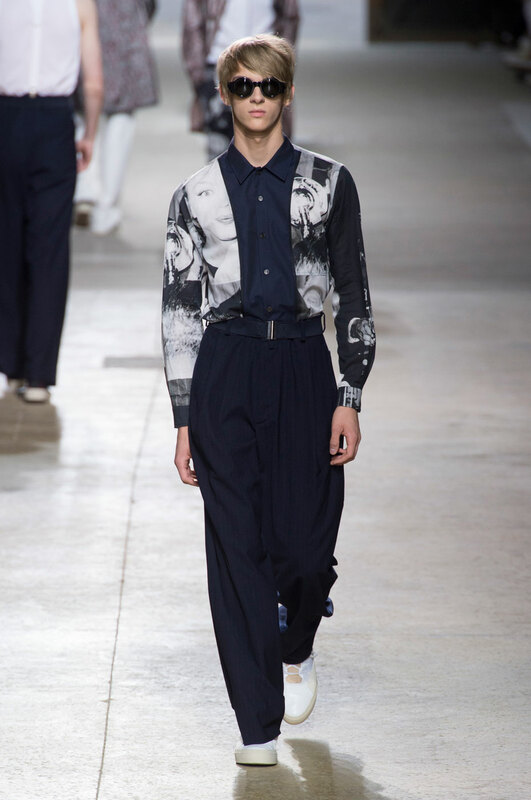 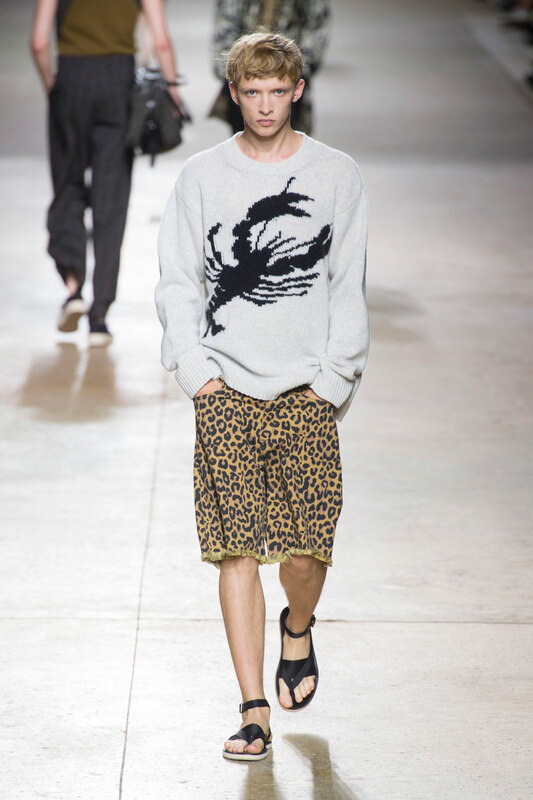 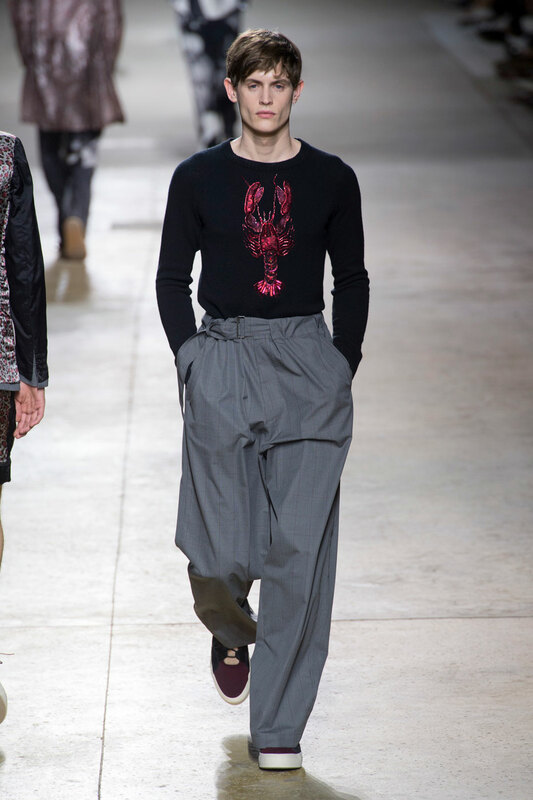 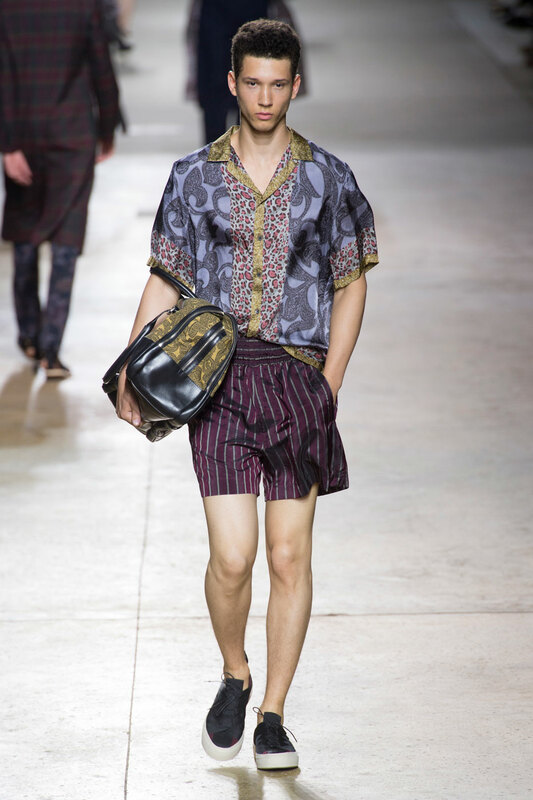 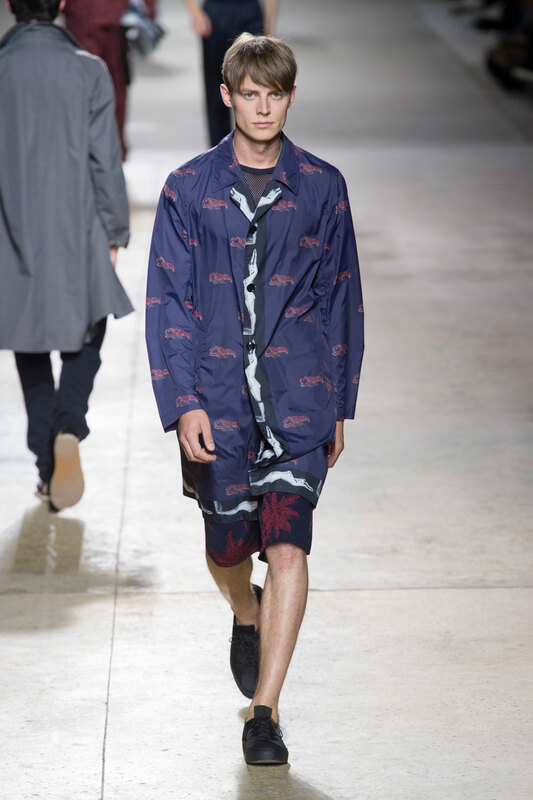 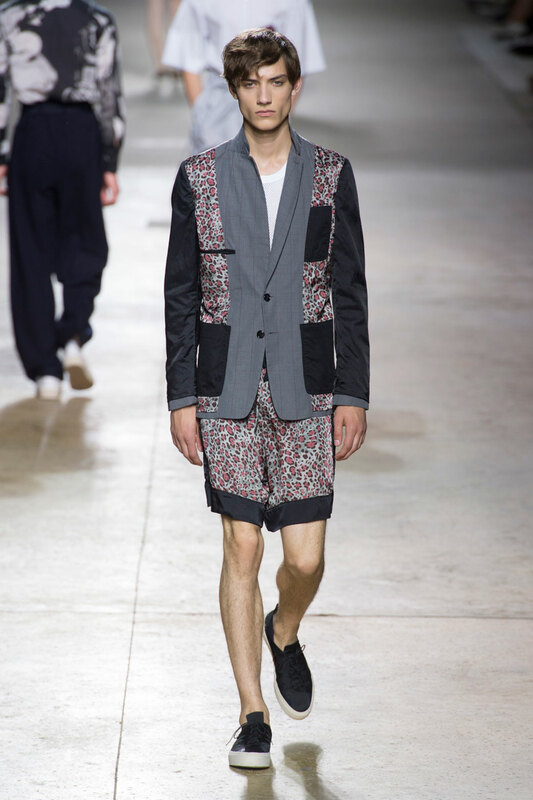 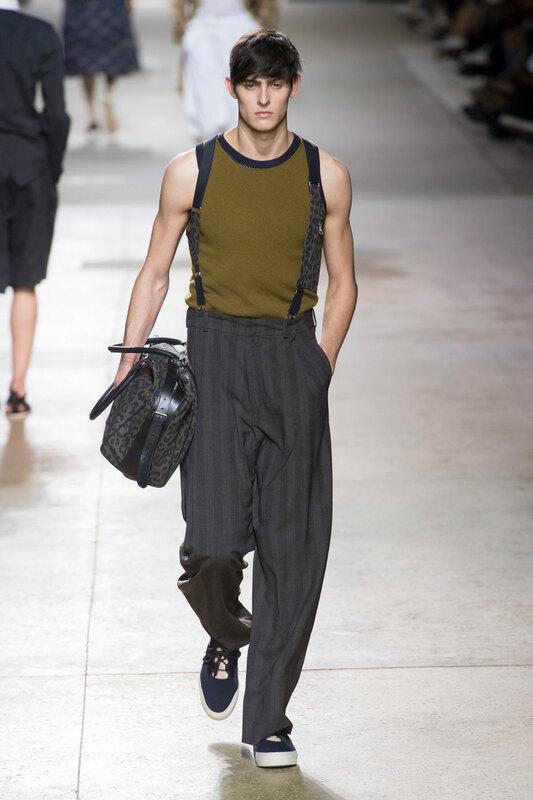 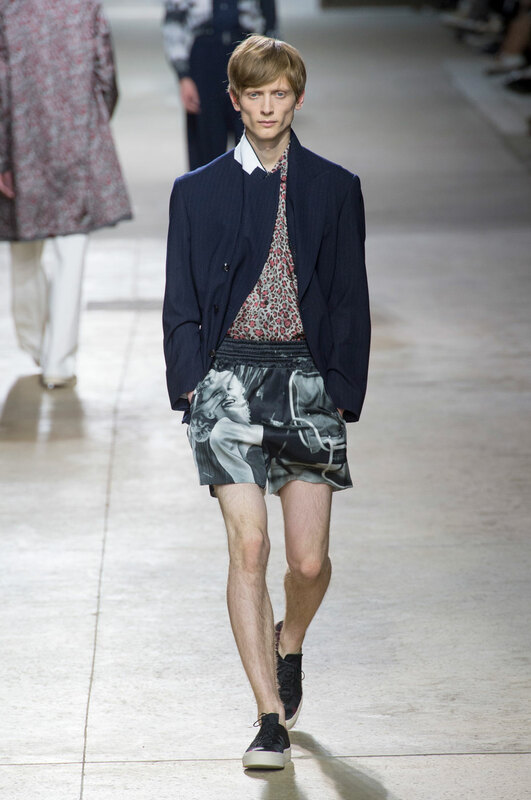 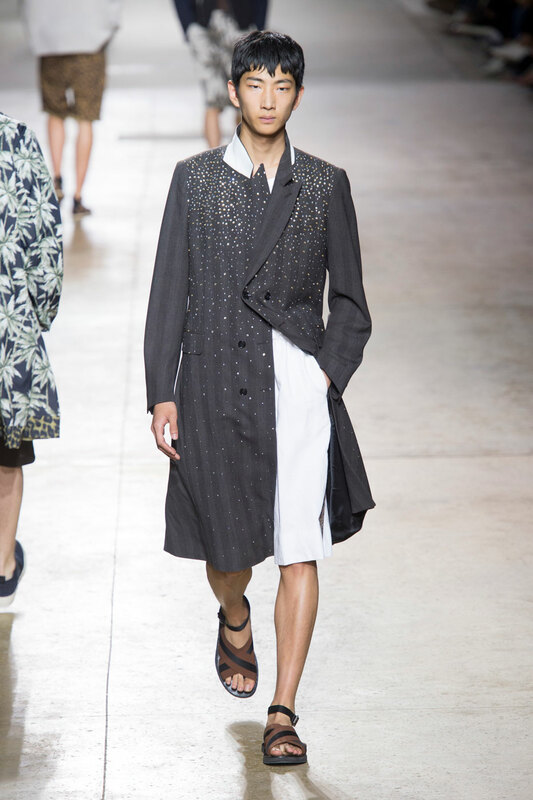 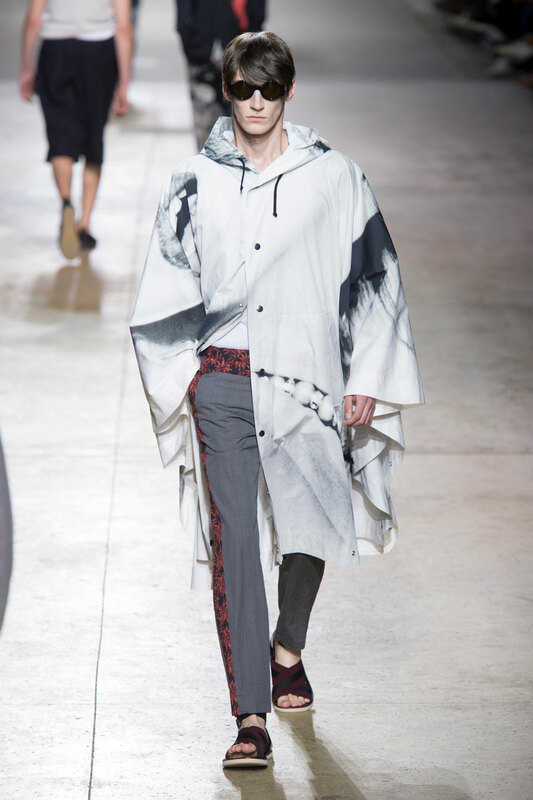 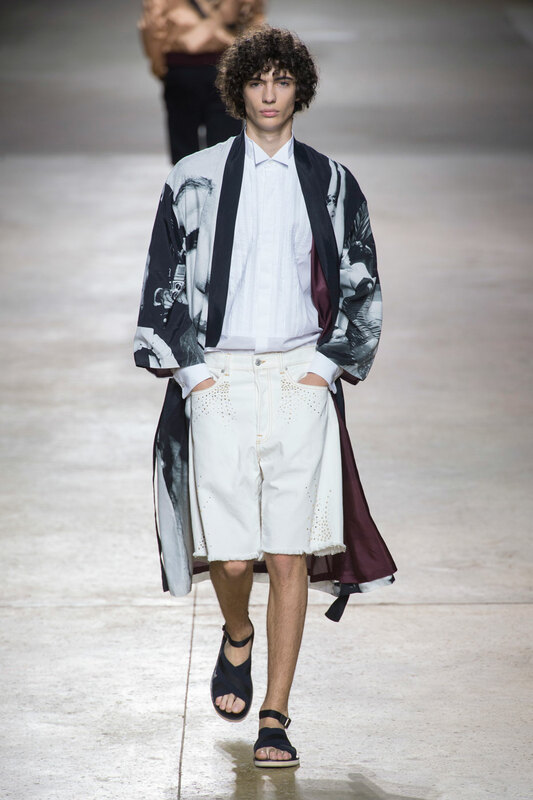 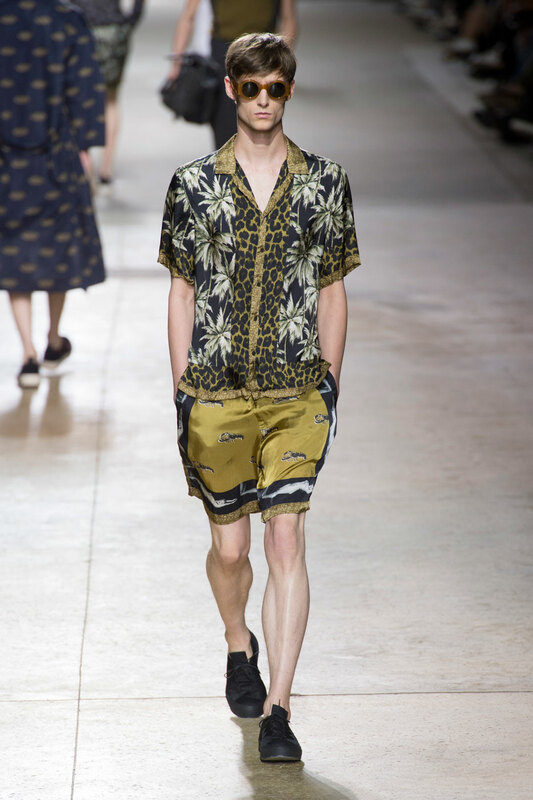 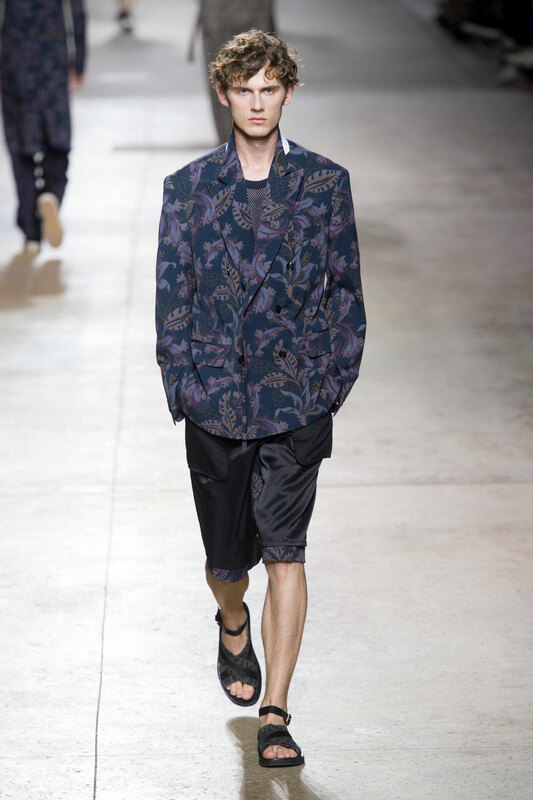 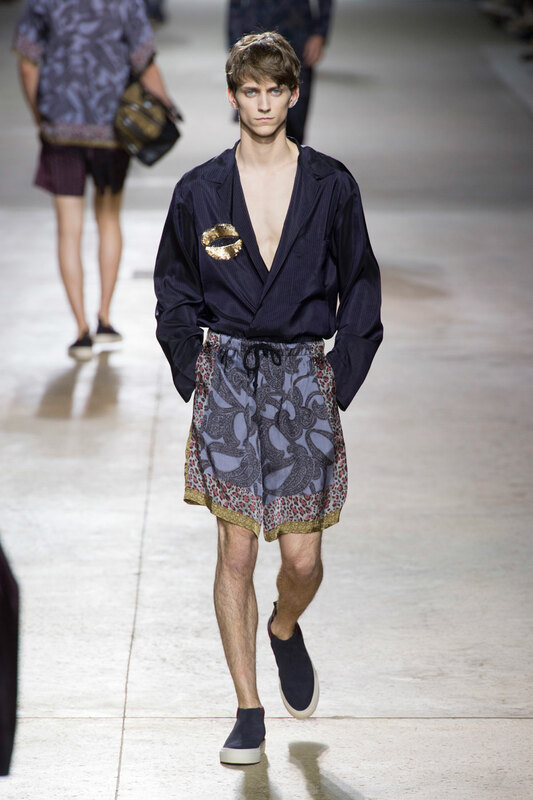 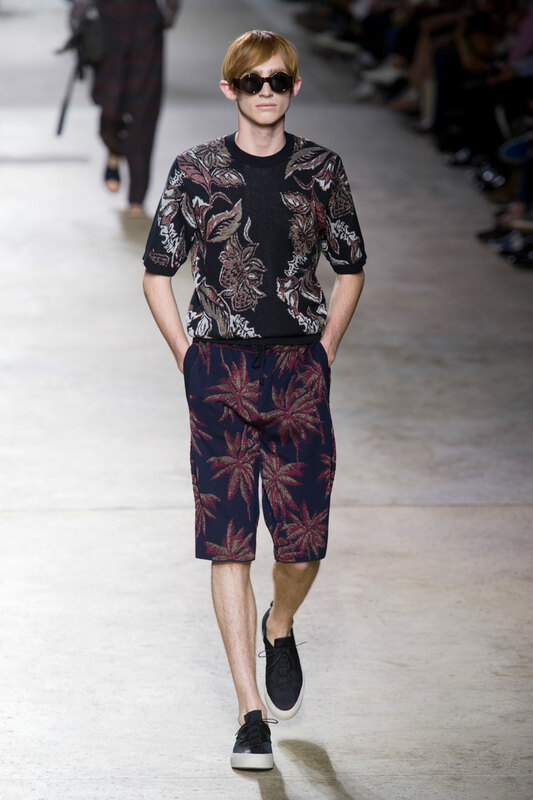 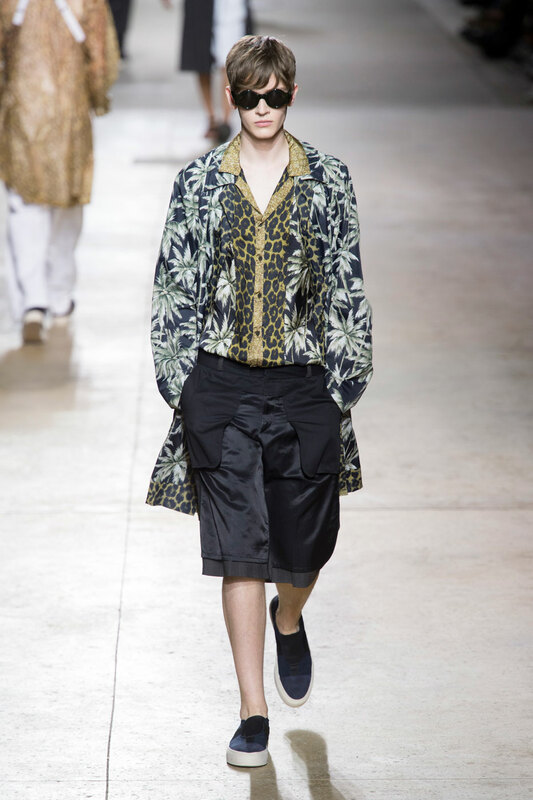 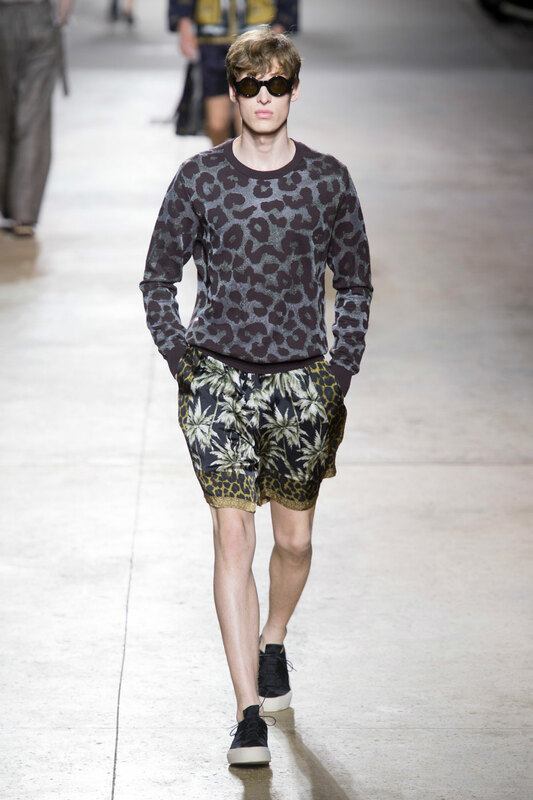 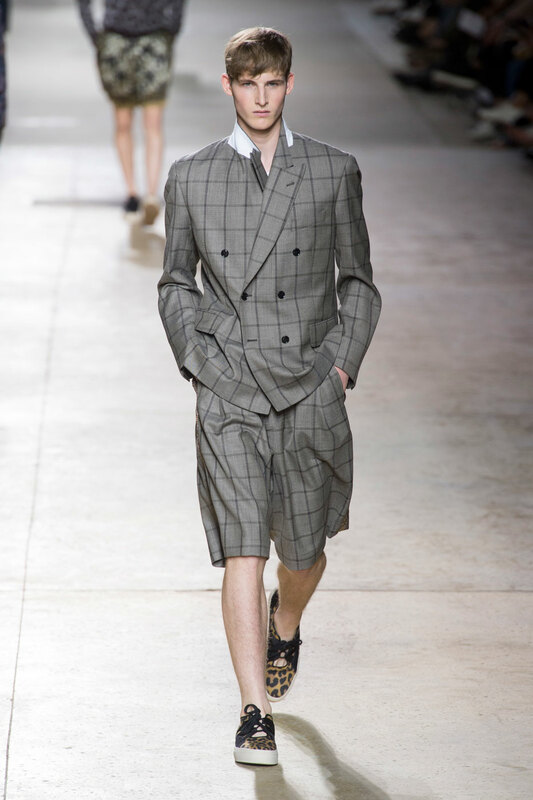 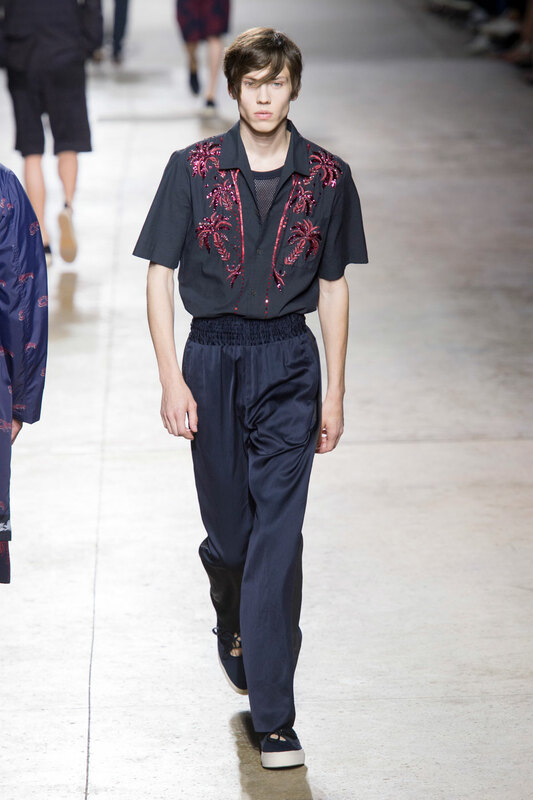 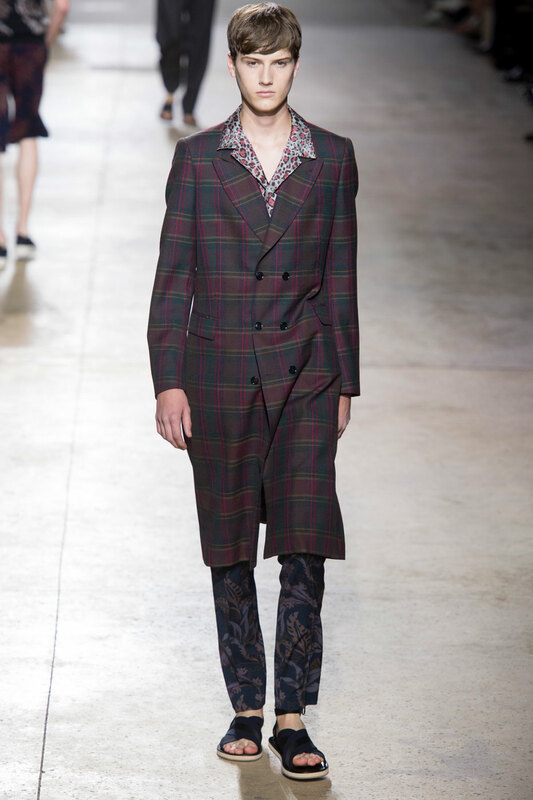 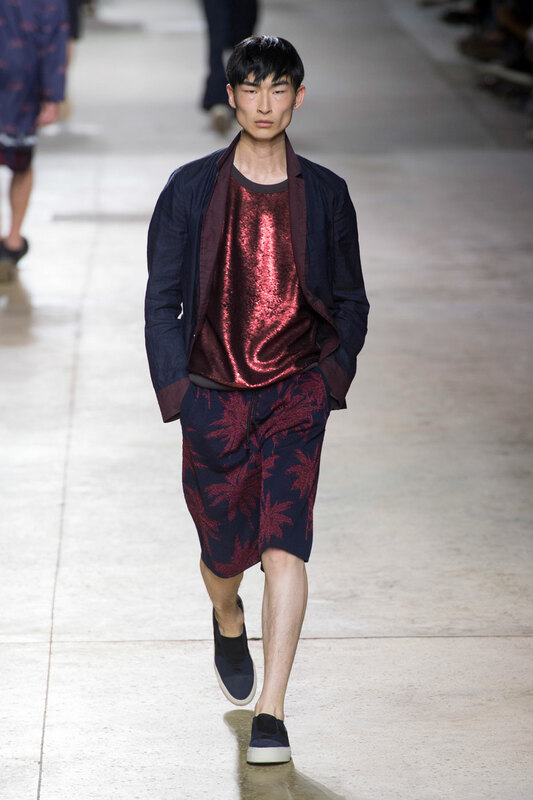 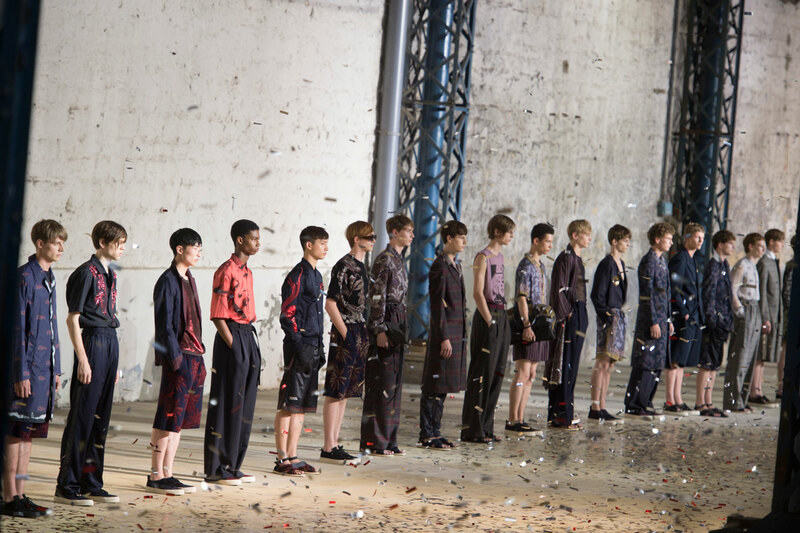 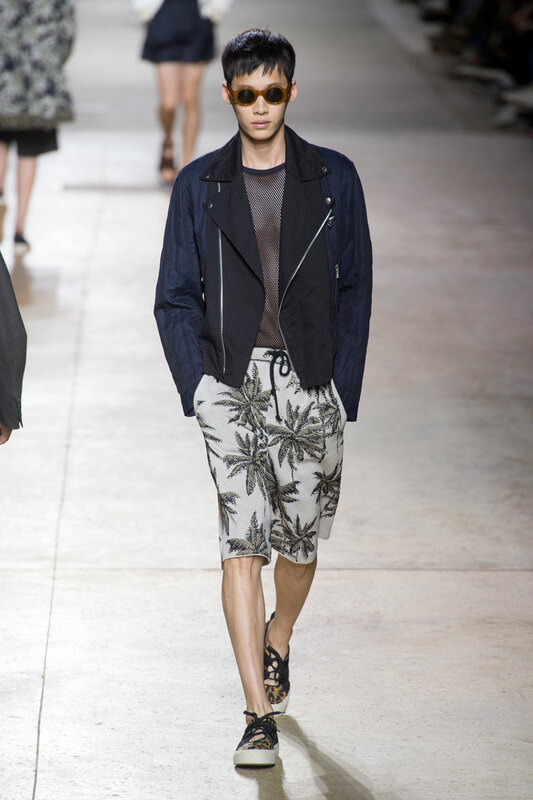 Van Noten also uses a variety of prints in this collection, including paisley, leopard and pinstripes. 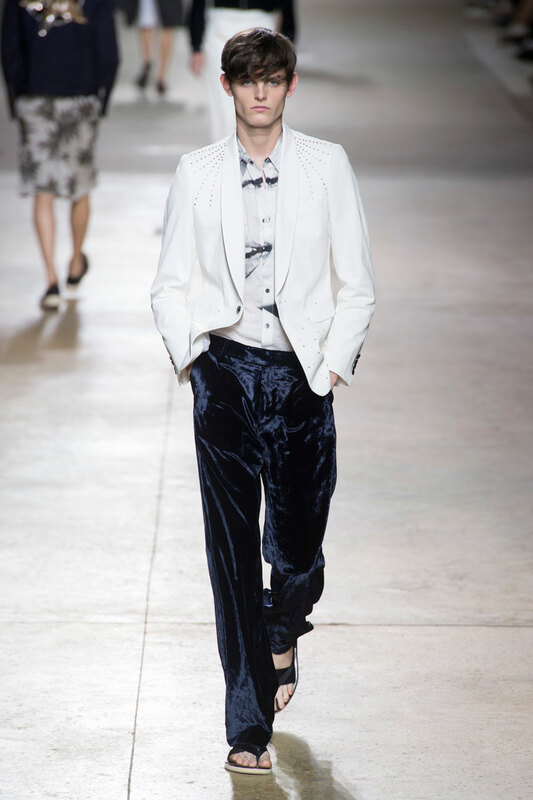 None however deviate from the simplistic colour scheme that runs continuously throughout the show. 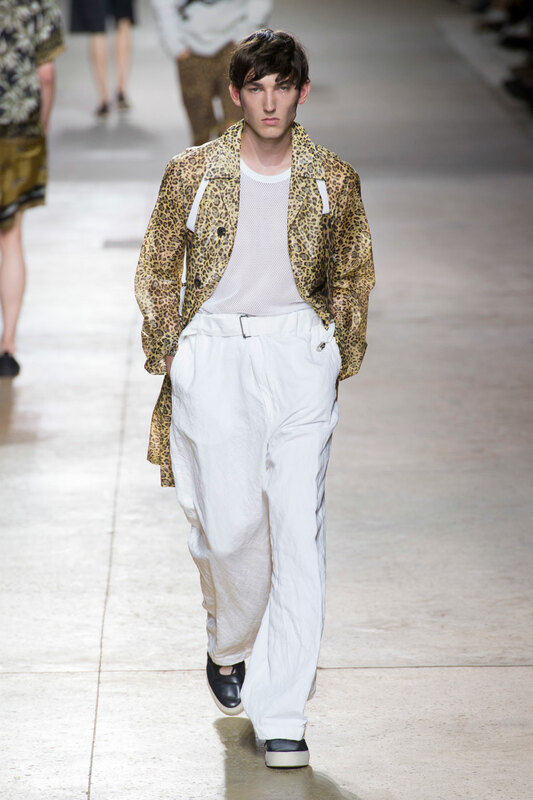 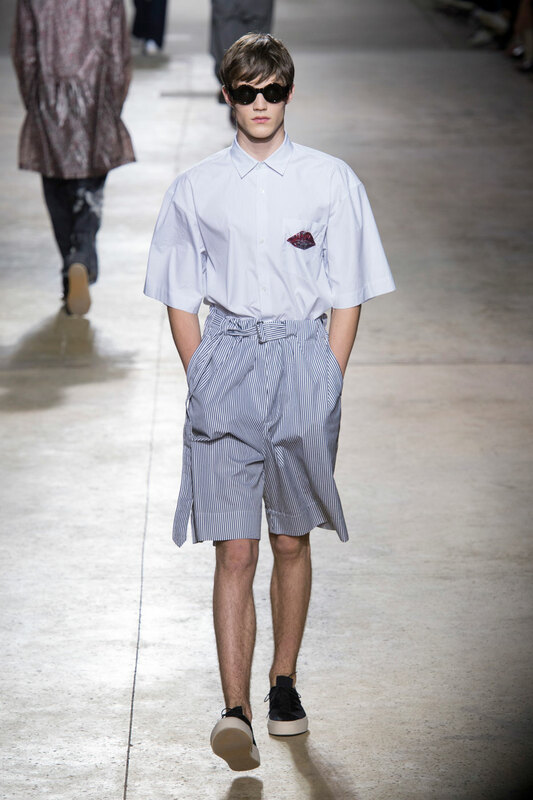 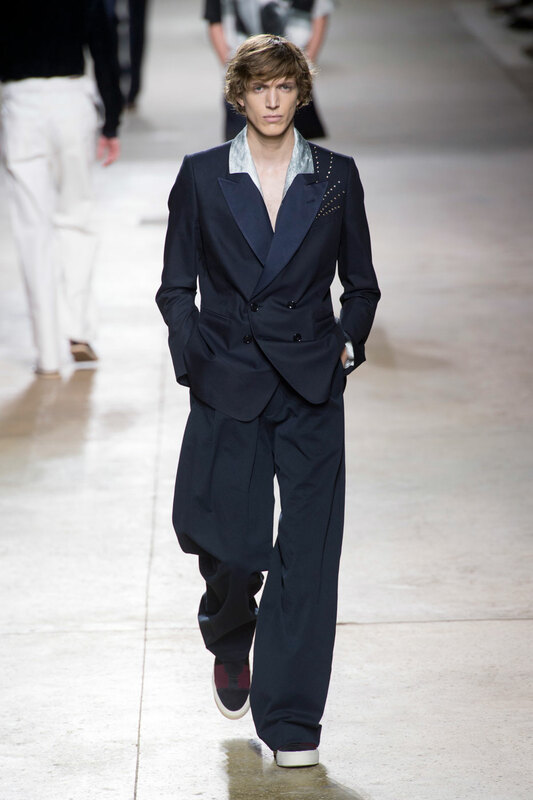 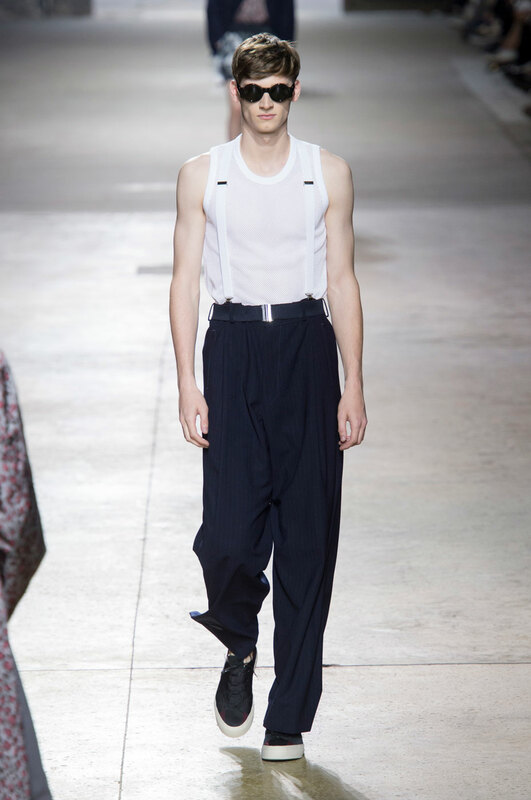 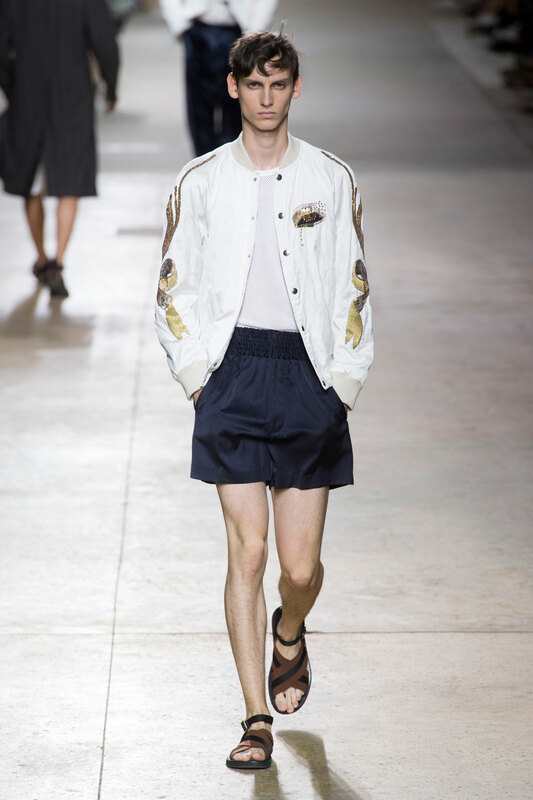 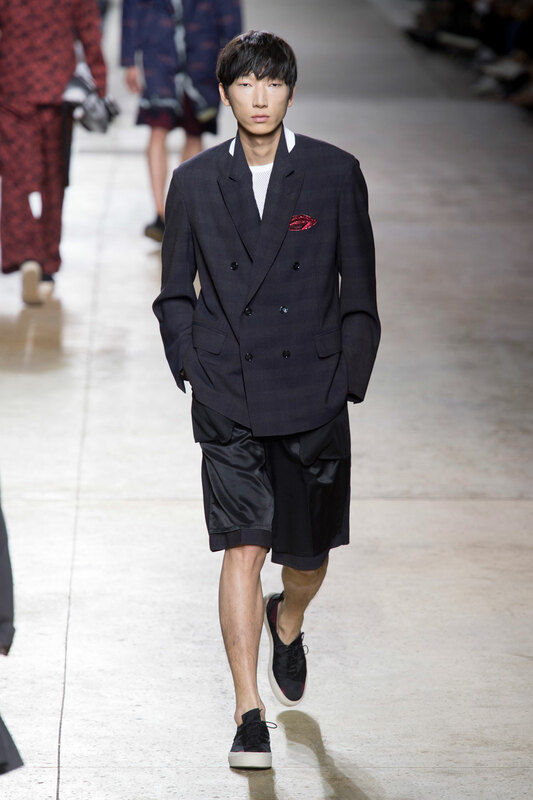 Another feature that dominates this eclectic show is the cut of the trousers and shorts the models are styled in; relatively high- waisted and extremely wide legged.